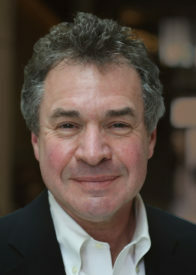 Drew Fagan is a Professor of Public Policy at the Munk School of Global Affairs and Public Policy. Prior to joining the University of Toronto and establishing his own consulting agency, he spent 12 years in leadership positions with the governments of Ontario and Canada. With the Government of Ontario, he was Deputy Minister of Infrastructure and Deputy Minister of Tourism, Culture and Sport with responsibility for the 2015 Pan/Parapan American Games. Drew joined the Ontario Public Service in 2009 from Ottawa, where he was Assistant Deputy Minister for strategic policy and planning at the Department of Foreign Affairs and International Trade. In that role, he served as the Prime Minister’s personal representative to the Asia-Pacific (APEC) summit process. Before becoming a public servant and diplomat in 2004, Mr. Fagan worked at The Globe and Mail, where he was parliamentary bureau chief, editorial page editor and columnist, foreign editor, associate editor of Report on Business and Washington correspondent. Drew now has his own public policy consulting company. He also is a senior fellow at the Public Policy Forum, C.D. Howe Institute, University of Toronto and Ryerson University and is senior counsel to the firm at National Public Relations Inc. He serves on the Ontario Government corporate audit committee. Drew holds a Bachelor of Commerce degree from Queen’s University and a Master of Arts degree from the University of Western Ontario. He received his ICD.D designation (Institute of Corporate Directors) in 2017 through the Rotman School of Management, University of Toronto. August 30, 2018 Drew Fagan in International Business Times: NAFTA negotiations – Two's company, three's a crowd?